LiSA Initiative, the grassroots financial literacy movement sponsored by First Financial Security, Inc., is opening new doors for women across the nation, including those in prison. Created by First Financial Security a little over two years ago, LiSA Initiative is designed to address the financial concerns of all women and their families through information, education and empowerment. To this end, LiSA Literacy Project, the financial literacy arm of the organization, features a private-labeled curriculum that focuses on financial education and provides the tools to implement a realistic financial plan. The curriculum, developed in partnership with the National Financial Educators Council (NFEC), successfully empowered a group of women at a local prison to take control of and responsibility for their future. Thanks to the efforts of Dr. Nicole Terry, twenty-one women’s lives—and the lives of their families–were positively impacted and changed forever. Dr. Nicole Terry is a First Financial Security, Inc. Regional Marketing Director and a nationally Certified Financial Education Instructor (CFEI), who is also a strong supporter of their financial literacy movement, LiSA Initiative. When she heard about LiSA’s mission, she knew, without a doubt, this was her calling, her way to give back. During a conversation with some prospective First Financial Security clients at a Fraternal Order of Police meeting, she was introduced to the women’s prison program. Nicole, recognizing the unique opportunity that LiSA Initiative could offer, spoke about the program’s mission, its high value content and the potential, life-changing impact it could deliver to these women. With that, her business card was passed on to the head of the county’s correctional department, which led to a personal invitation to an upcoming board meeting. Nicole presented the LiSA program and, with the board’s strong and enthusiastic support, a six-week pilot program was unanimously approved. For these women, financial literacy will be one of the most important factors in achieving their future success. Their lack was also, most likely, an underlying propellant into their criminal activity and ultimate incarceration. How do we invest in them so that history doesn’t repeat itself? How do we give them the support and encouragement they need to make some real, concrete changes? LiSA Initiative is not necessarily about becoming an “expert” in managing money, it’s about learning to make smart, well thought-out decisions, having the tools to create a plan, putting that plan into action and knowing when to ask questions and seek guidance. Money management is an intimidating subject, and it comes with many destructive myths, such as: Managing money is too complicated. It’s boring and I don’t understand it. Men manage money better than women, and it’s easier if someone else takes care of it for me. LiSA Initiative’s goal with financial literacy is to empower women and give them the confidence and the courage to regain control. 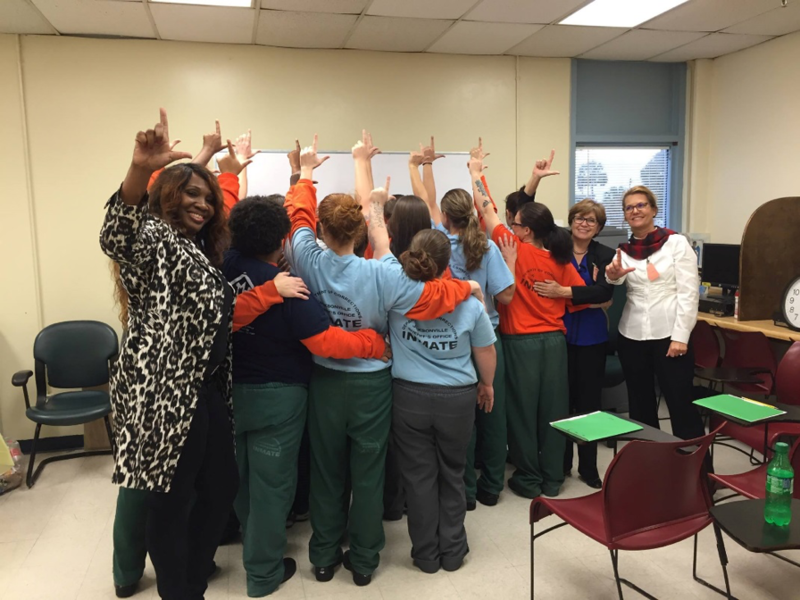 Twenty-one women attended the first LiSA Initiative class at the prison. Expectedly, some were eager and open-minded. Others were cautious and simply anticipated another wasted hour of how to manage your money with no real takeaways. Nicole could relate to these women. Not too long ago, her family was stuck by tragedy, which snowballed into other areas of her life. She was unable to manage her finances and fell on hard times. Experience taught her that it’s difficult to pull yourself up by your bootstraps. It was her thinking that “if there was just someone to help me,” that really fueled her desire to plant a seed of hope in these women. This was a unique situation, though, and Nicole approached it as such. She was honest, open, and she spoke in a language these women could easily understand. She created a non-threatening, judgment-free environment, and with that, she built trust. Nicole followed the LiSA Initiative curriculum verbatim and these women began to learn. They quickly recognized the value of the information they were hearing and the way in which the material was being presented—not with big words, high-level action plans, and unrealistic goals. Nicole met each and every woman exactly where she was, knowledge-wise, in her money management education, and that made all the difference in the world. The women were excited to come to class each week. In fact, one of the women was intentional about making sure someone came to get her from her shift in the kitchen every Saturday before the class started. Six weeks later, all 21 women graduated from the course — and it was emotional. These women were so grateful for Nicole and LiSA Initiative. “Nicole cared about us and made us feel like we were an important part of this world,” one woman said. The effects of LiSA Initiative are far-reaching and will impact generations of families to come. Using these tools, the women will not only successfully put a financial plan into action; they will model smart money-management decisions and teach those skills to their children. Maybe—just maybe—this could be the first step in breaking the cycle. Not surprisingly, the LiSA pilot program has served as a springboard into other initiatives. Conversations and feedback from these women has prompted Nicole to create Her Closet, a not-for-profit online resource that supplies women with suitable clothes for a job interview and a couple outfits to get them started. They’ll help them with resume writing and training and support resources. They’ll even match them with hair stylists and makeup artists who can help them with an updated look. Work is currently in progress and will continue as Nicole builds this new initiative into a one-stop shop for women who need help with a fresh start and the companies and people who want to serve them. Nicole is now teaching the curriculum in three local prisons—and not only for prisoners, but the correctional staff as well. She herself credits all of this success and the impact she’s made on these women’s lives to God and her faith. “All I am is a humble servant who is letting the Holy Spirit work through me,” she said. Nicole was most definitely a light in a dark place. Through LiSA Initiative, she was able to jumpstart immeasurable changes in these women’s lives. It doesn’t stop here, though. LiSA has the potential to help women and their families all over the world. Financial literacy is the catalyst to a better life, a better plan, and a better future. First Financial Security, Inc., is opening new doors for women across the nation, including those in prison. Created by First Financial Security a little over two years ago, LiSA Initiative is designed to address the financial concerns of all women and their families through information, education and empowerment. To this end, LiSA Literacy Project, the financial literacy arm of the organization, features a private-labeled curriculum that focuses on financial education and provides the tools to implement a realistic financial plan. The curriculum, developed in partnership with the National Financial Educators Council (NFEC), successfully empowered a group of women at a local prison to take control of and responsibility for their future. Thanks to the efforts of Dr. Nicole Terry, twenty-one women’s lives—and the lives of their families--were positively impacted and changed forever. Dr. Nicole Terry is a First Financial Security, Inc. 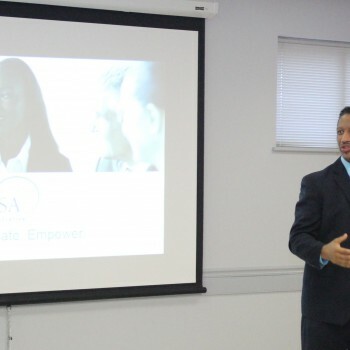 Regional Marketing Director and a nationally Certified Financial Education Instructor (CFEI), who is also a strong supporter of their financial literacy movement, LiSA Initiative. When she heard about LiSA’s mission, she knew, without a doubt, this was her calling, her way to give back. During a conversation with some prospective First Financial Security clients at a Fraternal Order of Police meeting, she was introduced to the women’s prison program. Nicole, recognizing the unique opportunity that LiSA Initiative could offer, spoke about the program’s mission, its high value content and the potential, life-changing impact it could deliver to these women. With that, her business card was passed on to the head of the county’s correctional department, which led to a personal invitation to an upcoming board meeting. Nicole presented the LiSA program and, with the board’s strong and enthusiastic support, a six-week pilot program was unanimously approved. For these women, financial literacy will be one of the most important factors in achieving their future success. Their lack was also, most likely, an underlying propellant into their criminal activity and ultimate incarceration. How do we invest in them so that history doesn’t repeat itself? How do we give them the support and encouragement they need to make some real, concrete changes? LiSA Initiative is not necessarily about becoming an “expert” in managing money, it’s about learning to make smart, well thought-out decisions, having the tools to create a plan, putting that plan into action and knowing when to ask questions and seek guidance. Twenty-one women attended the first LiSA Initiative class at the prison. Expectedly, some were eager and open-minded. Others were cautious and simply anticipated another wasted hour of how to manage your money with no real takeaways. Nicole could relate to these women. Not too long ago, her family was stuck by tragedy, which snowballed into other areas of her life. She was unable to manage her finances and fell on hard times. Experience taught her that it’s difficult to pull yourself up by your bootstraps. It was her thinking that “if there was just someone to help me,” that really fueled her desire to plant a seed of hope in these women. This was a unique situation, though, and Nicole approached it as such. She was honest, open, and she spoke in a language these women could easily understand. She created a non-threatening, judgment-free environment, and with that, she built trust. Nicole followed the LiSA Initiative curriculum verbatim and these women began to learn. They quickly recognized the value of the information they were hearing and the way in which the material was being presented—not with big words, high-level action plans, and unrealistic goals. Nicole met each and every woman exactly where she was, knowledge-wise, in her money management education, and that made all the difference in the world. The women were excited to come to class each week. In fact, one of the women was intentional about making sure someone came to get her from her shift in the kitchen every Saturday before the class started. Another said, “She (Nicole) helped us to understand the importance of a budget, savings and credit, but she also told us that our relationship with money can be different.” Six weeks later, all 21 women graduated from the course — and it was emotional. These women were so grateful for Nicole and LiSA Initiative. “Nicole cared about us and made us feel like we were an important part of this world,” one woman said. The effects of LiSA Initiative are far-reaching and will impact generations of families to come. Using these tools, the women will not only successfully put a financial plan into action; they will model smart money-management decisions and teach those skills to their children. Maybe—just maybe—this could be the first step in breaking the cycle.